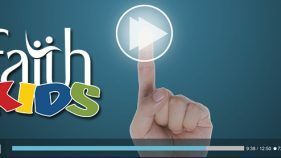 For the past several weeks, we have looked at some great resources that use the Bible to truly get to the the heart of difficult issues such as sin, suffering, eating disorders, and other addictions. 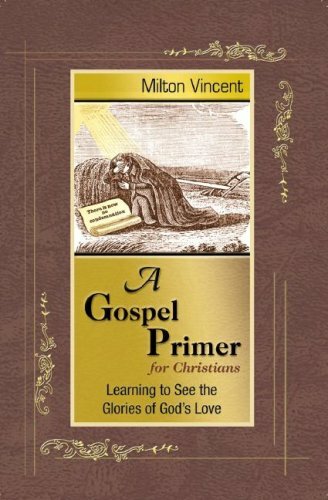 Today, please allow us to introduce you to another wonderful resource that we use here at Vision of Hope: A Gospel Primer by Milton Vincent. Many of us have heard and believe that the gospel story – the fact that Jesus Christ, the son of God, came to live a sinless life, died to pay the price for our sins, and rose from the dead to defeat death, hell, and the grave – is essential for salvation. Jesus Himself stated, “I am the way, the truth, and the life; no one comes to the Father but through Me.” (John 14:6) Praise the Lord for the work that Christ did on the cross to save us from hell! But is there where the gospel story ends, or is there more? Milton Vincent seeks to answer that question in his book, A Gospel Primer. This book is comprised of small sections of biblical truth. As Vincent states, “This book is offered as a handy guide to help Christians experience the gospel more fully by preaching it to themselves every day.” Each section in this book uses scriptures from the Word of God to powerfully connect the gospel story to our daily lives. Vincent masterfully encourages his readers with the great truths of freedom and joy that the gospel brings to our lives each day. From powerful portrayals of Christ’s love and forgiveness, to the awesome reminder that we are free from the power of sin and can now say “no” to the things that displease the Lord, this book encourages believers to grow in a more intimate relationship with their Savior. Amen! And this book is a great tool to help believers do just that. If you are interested in purchasing this powerful resource, get it here! Want to share this resource with an unbelieving friend, but don’t know if they would be willing to read the entire book? Get the booklet handout version of A Gospel Primer here!